and welcome all makes, models and pedigrees. lounge, meeting, office and game areas. you'll surely leave with one! 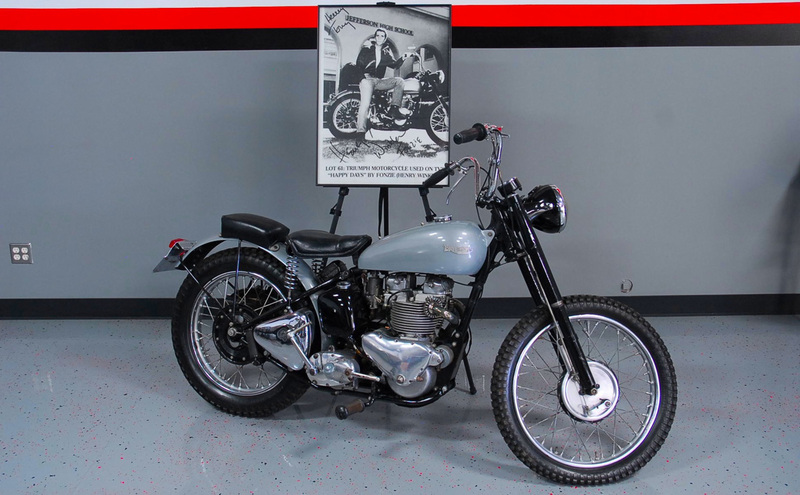 The original 1952 Triumph motorcycle ridden by Henry Winkler, "The Fonz," is on display anytime we're open. We have a complete title history and full documentation for this piece of "Happy Days" TV history. Fonzie's bike is currently out on loan for an exhibition at The Gilmore Museum in Hickory Corners, MI. You're welcome to stop by and see it there, or here as soon as we get it back! Check Out the Latest News from The Woodward Warehouse®!